Fluffy, golden pancakes are a match made in heaven with a whole range of sweet and savoury toppings. But at some places the pancakes can often fall a little flat (pardon the pun.) 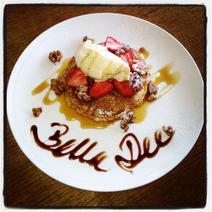 So where do you go to get your favourite pancakes in Sydney? 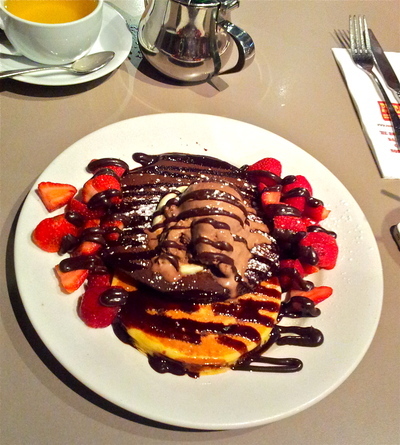 Pancakes on the Rocks are awesome! A restaurant dedicated to just pancakes, it has dozens of sweet and savoury pancakes on the menu. I find the pancakes quite fluffy but you can also get crepe-type pancakes if that is what you are into. The main restaurant is in The Rocks but there are others around Sydney like Northmead and Darling Harbour. For all day buttermilk pancakes try Black Pony Cafe Coogee - Or sourdough crepes at Excelsior Jones, Ashfield. Great pancake places are out there but can definitely be hard to find! DARE in The Rocks (which stands for Delicious and Responsible Eating). They have the most amazing coconut pancakes which are gluten free, and layered with fresh fruit salad, creamy yoghurt and maple syrup (the real stuff). Or you can have savoury versions too, and the serving sizes are very generous. While I'm a sucker for Pancakes At The Rocks any time of day, the best pancakes I've had in Sydney were at Bills in Surry Hills (well, he calls them hotcakes) - melt in your mouth fluffiness, stuffed with sweet ricotta and honeycomb butter. Mmmm.